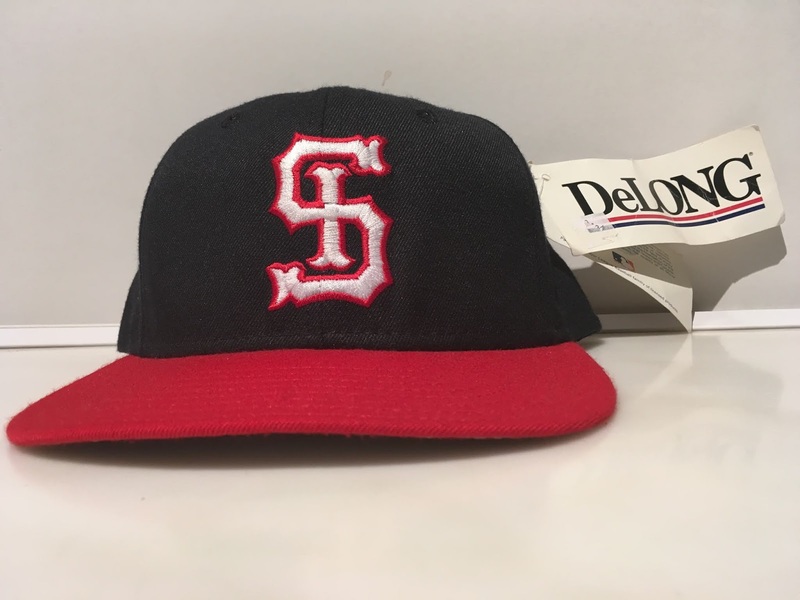 Mid 1990's Spokane Indians - Fresh Fitted Friday!!!! 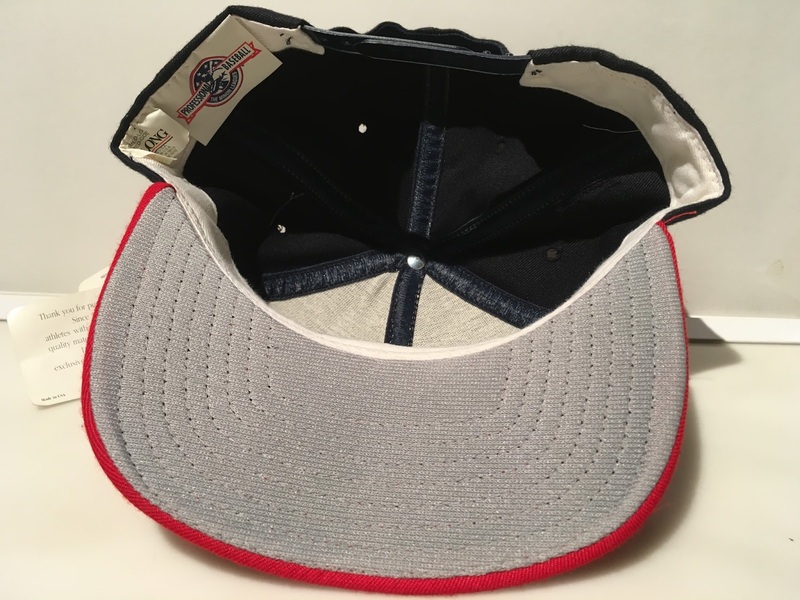 As stated in last week's post and many times before, it's always special when a Fresh Fitted makes its debut at a ballgame. 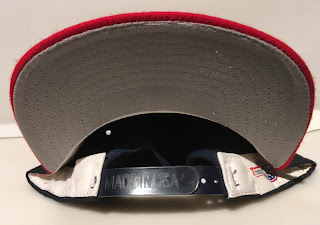 Those of you who have seen the love given to minor league caps will know that wearing this Spokane Indians cap to a minor league game tonight is going to be extra special. 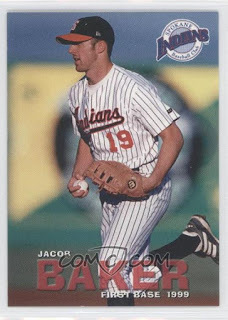 As much as I'd love to debut this vintage gem at a Spokane Indians game, that's not an option. So instead of catching a Pacific League Baseball game on the west coast, tonight I'll be taking a ferry from Manhattan to my first Staten Island Yankees game. I know this is another team's cap but I figure the S.I. on the logo is close enough to fit in with the locals even though the cap is red, white and blue. 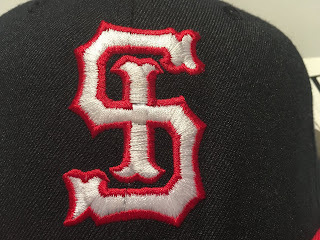 Of course, the best part about this logo is the serifs on the letters which are reminiscent of a Shreveport Captains cap that remains one of my favorites. 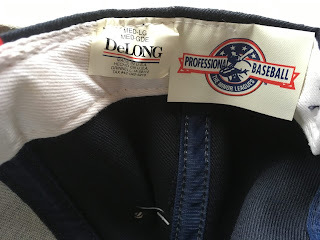 I've only written about one other DeLong hat, but this is the my first snapback from this producer. 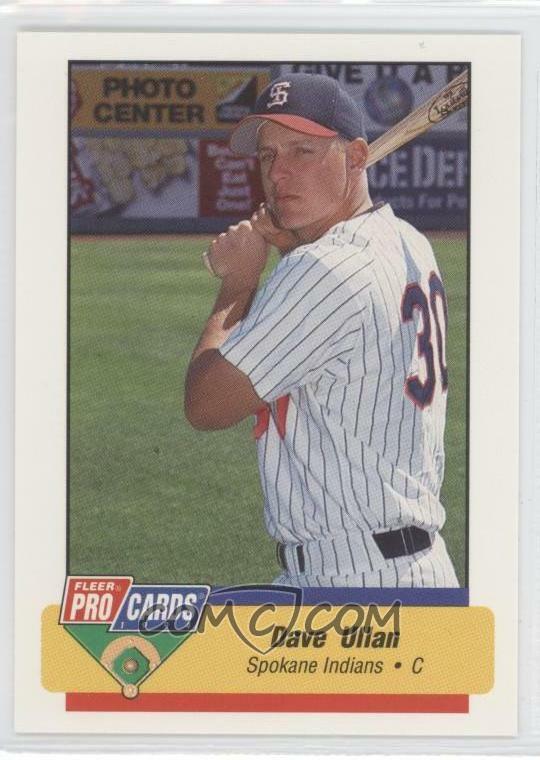 This cap is from somewhere between 1994 (when the red brim was introduced) and 1998 because New Era definitely supplied the team with caps the following year, both can be seen on these baseball cards from 1994 and 1999. Thanks COMC! These mid-90's caps and their square brims, what are you gonna do?!?! 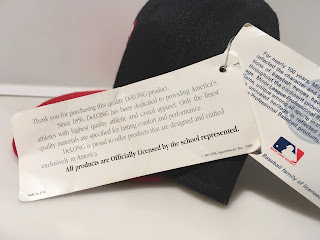 The Made In USA on the inside of the snap inspired me to create a new label so that we can keep track of every time one turns up here.